Innovative Optoma NuForce technology delivers highest-resolution audio for ultimate mobile sound. At work or on the go, if you own a computer and love music you need the Optoma NuForce uDAC-3. If you’re a gamer, the uDAC-3 delivers realistic sound effects that really put you “in the game.” If you’re a musician and need a quality portable monitoring solution with USB DAC & headphone amp capabilities, then the uDAC-3 is a must. The Optoma NuForce uDAC-3 delivers truly superior sound via a high-performance, 24bit/96kHz USB Digital Audio Converter (DAC) and allows you to connect digital audio from your computer to your home stereo, desktop sound system, powered speakers or headphones. Employing the latest asynchronous USB communication for reduced jitter performance, you can be certain that you’ll always hear a harmonically accurate presentation. Furthermore, for limited DSD support the uDAC-3 is endowed with the latest Direct-Stream Digital (DSD) decoding capability (requires NuForce supplied driver and Foobar2000 media player). Additional features include a quality headphone amp and a highly linear TOCOS volume control for improved channel tracking at low listening levels. A good DAC makes an enormous difference no matter what kind of headphones you’re using. The uDAC3 is a good one… "
The NuForce uDAC3 is high quality and because of its size and weight it can easily be used on the move. It is primarily designed for use with a notebook and it clearly improves the sound quality of a notebook. Furthermore, it completely eliminates any annoying background noise. " Technically, the NuForce uDAC3 operates at the highest level and ensures a good sound. The product has a 24bit USB Digital Audio Converter. This enables a high-performance with a clear sound quality. " The uDAC3 works extremely reliably in all sorts of applications, from simple plug and play with my lap top and PC to using it along side my FIO X3. It never caused me any technical problems. It just works. Such a rare thing in Computer audio I find. " Awarded 4.5 stars and a HiFi Choice Recommended award. 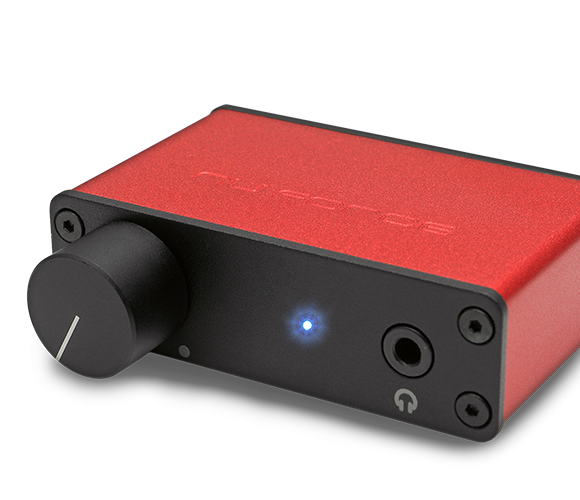 “Despite its affordable price and dinky proportions the uDAC3 has an eyebrow-raising spec that includes a variable gain headphone amplifier and a 32-bit DAC with support for 96kHz hi-res files.” "
“it certainly performs better than could be expected given its price. It results in a slightly warm, pleasant sound you could listen to all day without fatigue.” "
“It’s a really tiny device, you could not even imagine, but inside there is a real big headphone amplifier” "
“The uDAC-3 could not have been simpler to set up. Once the USB cable was plugged in, my installation of Windows whirred away and installed everything.” "
The uDAC-3 is a nice product - one that I can happily award the DavePlays Silver Award. " 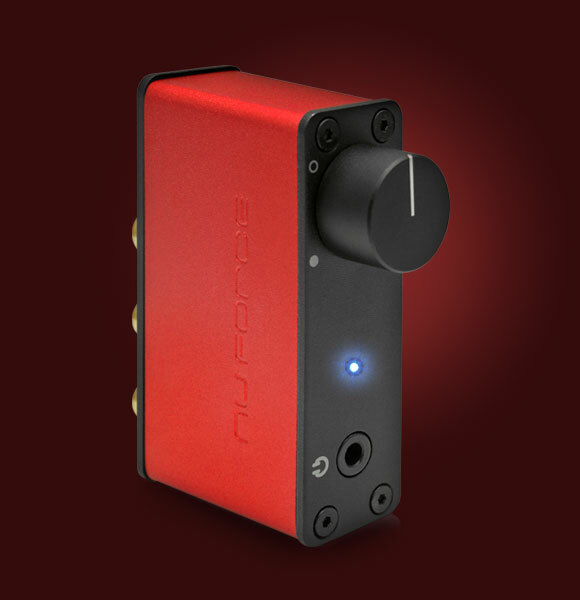 “Starting up the NuForce uDAC3 was by far the easiest compared to other devices of this type. It’s plug and play.” "
“…the clear improvement of the sound, both streaming MP3 Spotify and gaming sound, indicates that the uDAC3 also performs up sampling in this case.” "
Final sound frequency is well balanced, gaining transparency and feeling for the space…uDAC3 can be also recommended as a quality interface between PC and amplifier which miss digital inputs. " At work or on the go, if you own a computer and love music, you need the NuForce uDAC3…the uDAC3 enhances the performance to new levels. " “The uDAC-3 does dance music so well that it may as well come with glow sticks and a can of Red Bull." "
“This tiny little device makes a world of difference to my audio. Whether listening to music, podcasts, or even films and games, audio always sounded much clearer and more enjoyable.” "
옵토마의 ‘누포스 uDAC3’은 피씨파이 트렌드에 부합하는 초소형 휴대용 DAC로 음질 저하를 없앤 비동기 전송방식 USB를 채택한 제품이다. 손바닥 위에 올려도 아담한 크기와 주머니에 넣고 다녀도 부담이 없는 무게, 그리고 간결한 외관이 특징이다. ‘클수록 좋다’는 편견을 가볍게 날려버린, DAC 계열에서 보기 힘든 작은 거인이다. " "The sound is lively, cheerful, gleaming with a serious and powerful bass.” "